Our beers are now pouring in Jamie’s Italian Dundrum. We are delighted that Jamie’s will be serving our Atractor, Little Willie Tank and 12ft. Under Beers. Stop in for Great food & Great Beer! Another day and another pub! We are thrilled that our Clever Man Beers can now be enjoyed at L. Mulligan Grocer. Our Atractor, Little Willie Tank & 12ft Under Beers are available now. Great pub supporting Irish Craft Beer. Go on give it a try! We are delighted that our beers are now available in Dublin. Our beers are in The Glimmer Man in Stoneybatter. We appreciate their support for Irish Craft Beer. So why not pop in and try a Clever Man. Always Be Curious! Our Clever Man Beers can now be found in La Cote Restaurant in Wexford. We appreciate the support of Paul & Edwina for promoting local suppliers. Stop in and enjoy a delicious meal and a Clever Man Beer! We are delighted that our Clever Man Beers can now be enjoyed in Cistín Eile. Thanks to Warren Gillen for supporting local producers. We will be at the Bannow & Rathangan Agricultural Show on July 9th, from 9:00am – 5:30pm. We are delighted to join other local producers in the Pettitt’s Food Tent. Stop by and sample a Clever Man Beer. Always Be Curious! Templare’s Inn Restaurant in Templetown, Fethard-on-Sea,Wexford is now stocking our Clever Man Beers. You can find our Atractor & Little Willie Tank Beers. Why not stop in this weeked for some great food and an Irish Craft Beer!  If you are in Wexford Town this weekend why not enjoy a Clever Man Beer. Our Atractor Beer & Little Willie American Pale Ale can now be found in two pubs on Main Street. Simon Lambert & Sons and The Sky & the Ground are now stocking Clever Man Beers. Aren’t you curious?